"Parent Perceptions of Child Care Choice and Quality in Four States" by Helen Raikes, Brian Wilcox et al. 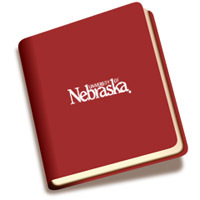 Published by the the Gallup Organization for the Center on Children, Families, and the Law, University of Nebraska. COPYRIGHT © 2005 THE GALLUP ORGANIZATION, PRINCETON, NJ. Used by permission. The purpose of the Year 2 Studies of the Midwest Child Care Research Consortium was to assess parent perceptions of child care choices and quality across four states. The states studied — Iowa, Kansas, Missouri, and Nebraska — comprise U.S. Department of Health and Human Services Region 7. The current study was conducted by asking 1,325 parents to complete a paper and pencil survey. The parents all had children receiving child care from providers who participated in an earlier telephone survey of 2,022 providers and in observations of 365 providers. Results from that study are reported elsewhere1. Providers in the original study were selected at random from state lists of licensed and subsidy-receiving providers stratified for state, subsidy, and type of care (infant-toddler center-based, preschool center-based, licensed family child care, registered family child care, license-exempt home providers, and a few state-specific categories). In the current parent study, all the parents completed questionnaires and mailed their confidential responses to The Gallup Organization.